Beautification: just look at a yard without trees or shrubs to see what they contribute in beauty. They add depth and height to any landscaping. 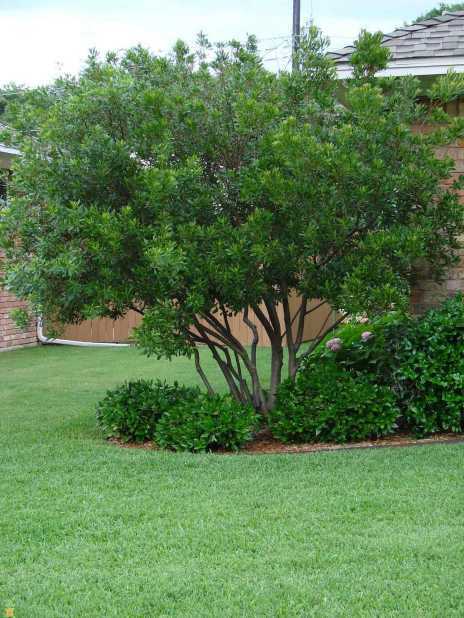 Shade: trees and shrubs cast big, tall shadows that are great for lounging in during the summer. In addition, they help cool your house, keeping your electrical bill lower. Decoration: you can hang lights, ornaments, or all kinds of decorations in trees and shrubs. Value: a property with mature trees and shrubs is more appealing to buyers, possibly increasing the price. Of course, not properly caring for your trees and shrubs can diminish or even eliminate the benefits. Gro Lawn can help with everything you need to keep these special plants thriving. Trimming: knowing when to prune trees, where to cut them back, and how much to take off can be tricky. After all, if you cut off too much or prune at the wrong time, your tree can suffer greatly. Properly treating the cuts is another critical item. If you trim a tree properly, it will look better, be in good health, and can resist damage from the elements with greater success. Replenishing mulch: not only does a good, fresh layer of mulch around a tree look great, it comes with solid benefits. Tree fertilization insulates against heat and cold, protects the roots from lawnmower damage, retains moisture to keep the roots wet, fights against soil compaction, and even fights against weeds. Fighting pests and disease: you usually can tell when a tree is struggling, thanks to signs like holes in leaves, dead branches, etc. But it’s not enough to just know a tree has problems because you need to treat the problem. That means properly assessing what’s going on and knowing what course of action is necessary to restore the tree’s health. With all the moisture in the environment, mold can be an issue, so make sure you have a tree fungus treatment when they need it. Tree and shrub pest control can save lives. Gro Lawn’s team of professionals can help with all these critical tree care items, and even teach you how to better care for your tree day by day, like watering habits. You’ll see the benefits almost immediately. Just like with trees, shrubs need expert care to be healthy and look their best. 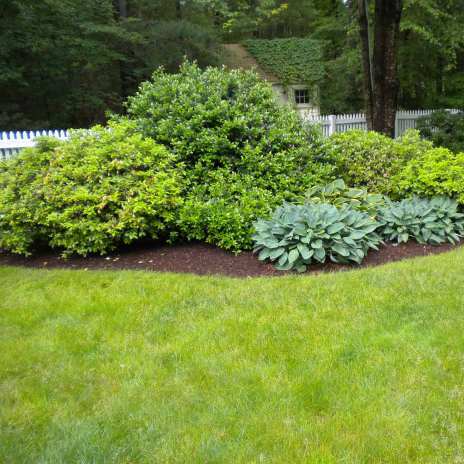 However, there are some key differences that make maintaining shrubs in your yard different. Pruning: instead of cutting them back on occasion, shrubs need more regular trimming. This not only can keep your shrub healthy but allows you to maintain the right size and desirable shape. When and how often to prune any shrub requires expert knowledge, since the many varieties are quite different. Fertilization: for effective shrub fertilization, you must know the composition of the soil and what the variety of shrub needs. Different fertilizers provide various levels of the many nutrients a shrub may need, so you must exercise care when choosing one. Also, applying fertilizer correctly requires some expertise, or your shrub won’t enjoy the maximum effect. Gro Lawn can help with these items, plus work with you to create whatever landscaping effect you desire. Contact us today to set up an appointment.